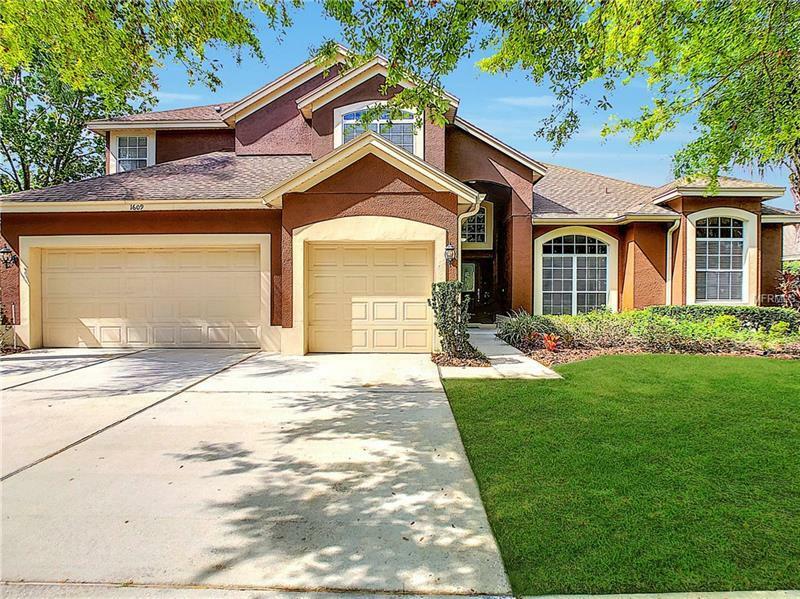 Awesome Heathrow POOL with Stunning WATER VIEWS in the Exclusive 24 hour guard gated community of Heathrow in Lake Mary. Move-in Ready 4 bedrooms plus an Office/5th bedroom potential, 3 full baths and 2 half baths. Nice bright home with an open concept. Spacious and nicely kept, generously sized rooms, light and bright kitchen/family area and lots of storage space! Formal dining room and living room. The home features a spacious open floor plan, first floor Master Suite with a sitting area has a walk-in closet and the master bath features double sinks tub and separate shower. 3 car garage. Highly desirable A rated Seminole County Schools. Heathrow Community Amenities include 2- 24/7 manned guard-gates, Sawyer Lake Park w/ large playground including ball fields, basketball courts, soccer field & a clubhouse that can be used for parties. Country Club living w/ outstanding golf course, tennis courts & pool facilities. Call today for a private showing!